From the moment the queen bee lays an egg until the day the worker bee’s end of life we follow the typical life cycle of a worker honey bee in 10 steps. There are 3 types of bees (or castes) in a honey bee colony. Typically there will be 1 queen, about 50 male bees (drones) and 99% of infertile female bees (workers). For example, if a typical honey bee colony of 50,000 bees there will be just 1 queen, 50 workers and 49,949 bees. But this is only an average estimate and it depends on a lot of things. For example the season, environment, food sources, colony health and the time of year or season. The queen lays approximately her own weight in eggs each day during the peak season and when she is most fertile. The worker bee can only be created from a queens fertile egg. Larvae appear when the egg finally hatches. The nurse worker bees will feed the larvae pollen and a nutrient-rich substance called royal jelly. The pupa will begin to develop and grow fat and plump floating in her food. Worker bees will produce beeswax from their glands and cap the cell. The larvae will then begin to spin a cocoon inside the cell. The young bee will chew through the wax cap of its’ cell and emerge to join the rest of the colony. Almost as soon as the worker bee is born, she will start to clean and her cell in preparation for the queen to lay another egg to produce another bee. The worker bee carries out the tasks of a nurse, feeding and tending to the bee larvae. Worker bees will produce beeswax and excrete the wax from the underside of its’ abdominal glands. This beeswax will be used in the beehive to seal brood cells and build honeycomb for brood and to store honey and pollen. Worker bees will guard the entrance of the beehive preventing predators and bees from other hives entering the hives to rob honey or harm the hive. During the final days of her life, the worker bee will start to leave the hive and collect food and water for her colony. This will include pollen (protein) and nectar (carbohydrate) from the hundreds of flowers it will visit during its’ short life. 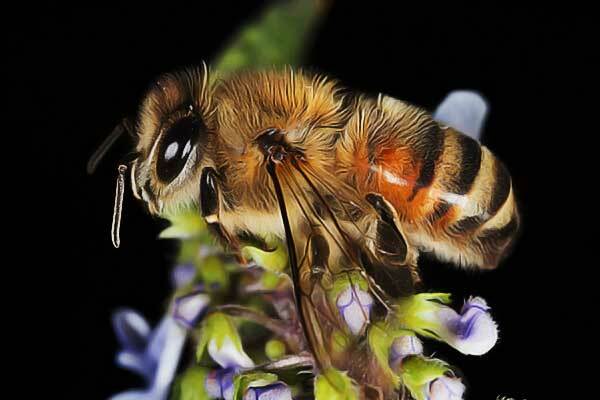 The worker bee will typically end its’ short life as a forager. Her wings will become frayed and she will most likely die in the field as she forages. But she may die prematurely if she comes in contact with pesticides if attacked by predators or sufferers from a disease. Worker bees that are born just before winter can often live much longer than 6 weeks or so. These bees are known as winter bees. And their lives are longer on average because the colder days and unfavourable weather during winter will often mean the worker will not forage as often as her sisters during spring and summer. Less foraging will generally extend the worker bees life. When it comes to the worker honey bee, there are 3 important numbers beekeepers should remember, 3, 9 and 21. These numbers are worth remembering because they represent the 3 stages of the worker honey bees first stages of its life. Considering the queen lays the worker egg on day 1, the worker hatches from an egg into larvae after day 3. The cell is sealed after day 9. And finally, the worker will emerge from it’s cell after day 21. 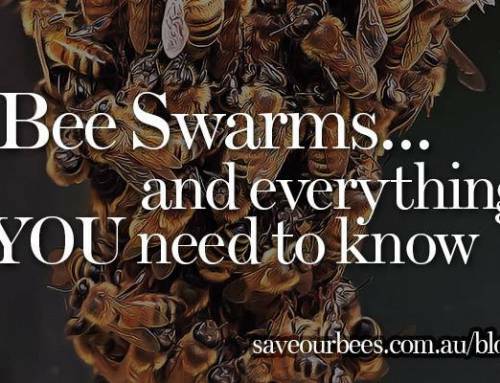 These numbers are different for queen bees and the drone bee. Every beekeeper should know these first 3 stages to properly manage a honey bee colony effectively in order to control swarming. Part Time Beekeeper and full-time bee enthusiast. Fake Honey-Why All The Fuss?